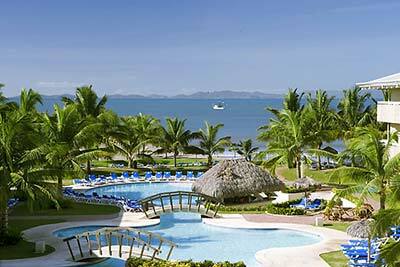 Easter week in Costa Rica is one of the most important times for native Ticos, and nearly the entire country shuts down for a week! 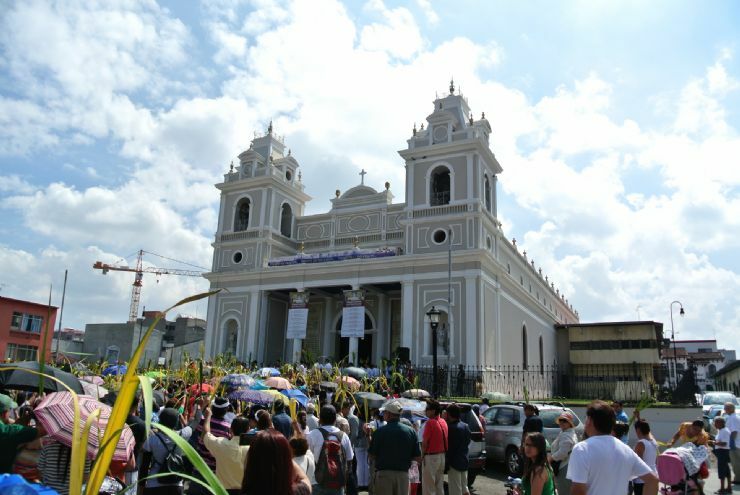 You know me, I love being in the rainforest, but during Easter Week, or Semana Santa, I always make my way to Cartago. The city has the biggest celebration in the country. 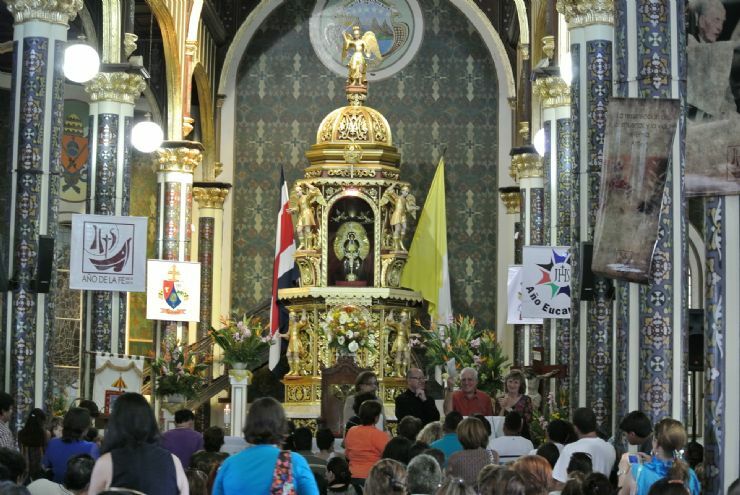 It's a unique time in Costa Rica because deep-rooted traditions are alive and well. Until a few years ago, there was no vehicle traffic allowed on the streets, and although that isn't a strict law anymore, public transportation doesn't run and most people take this vacation to relax. 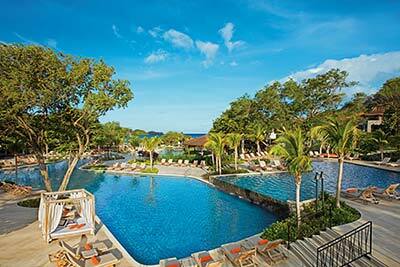 If you're visiting Costa Rica during Semana Santa, the beaches will be jam-packed with Ticos. 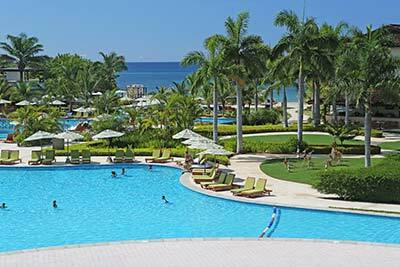 An estimated 1.5 million Costa Ricans visit the coast! 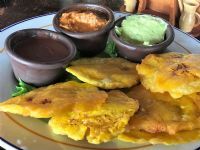 I was lucky enough to spend Semana Santa last year with a family, so I've got the inside scoop on all the great traditions, foods and celebrations of this week-long holiday. 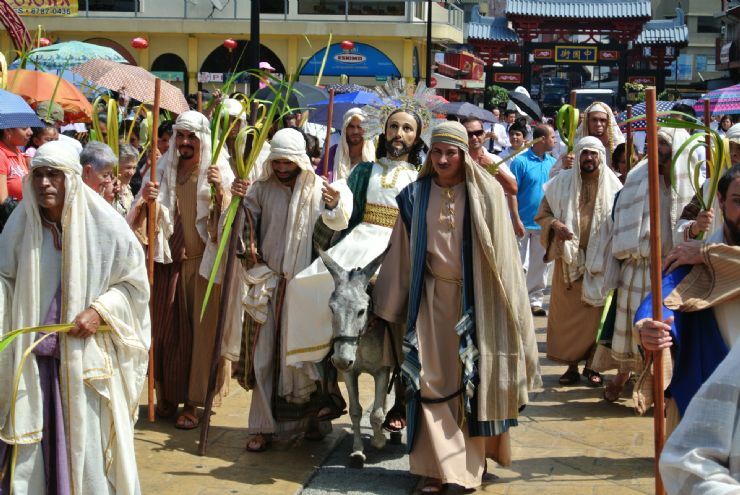 Semana Santa, or Holy Week, is the most important holiday for Costa Ricans, as it celebrates the death and resurrection of Christ with processions all across the country. In each town, the Catholic Church organizes the big event to take place on Holy Wednesday, Holy Thursday, Good Friday and Easter Sunday. 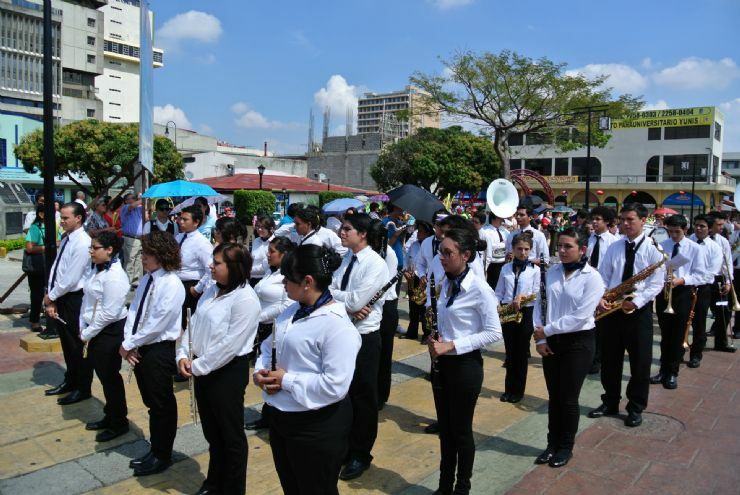 Although there are some Costa Ricans who stock up on alcohol for the weekend, the majority of Ticos hold a strong connection to religious traditions and do not consume alcohol during this time. On Thursday and Friday, all bars and liquor stores are closed and the country is dry. Locals stick to eating food and spending time with their family this week. 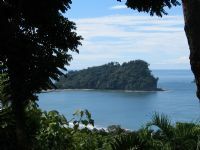 Costa Ricans believe in many superstitions, as well, so people do not swim in the ocean on Holy Thursday or Good Friday. Legend has it that you can drown because God is angry, or that you may become a fish if you swim on these days. Some are also concerned that the earth gets too hot during this time, causing more earthquakes. 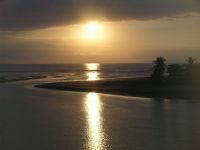 But Costa Ricans do believe that this is a positive week, and it's rumored that the most beautiful sunsets take place during this week. I'm going to make sure I make it to the top of my favorite tree to watch the sunsets! Holy traditions say that you cannot consume pork or beef during Semana Santa, so many people eat fresh fish, canned tuna and chiverre. Some of the most popular dishes that I encountered on my trip to Cartago were arroz con leche, a delicious rich dish made with milk and sugar, and sopa de pescado, which is a fish-based broth. 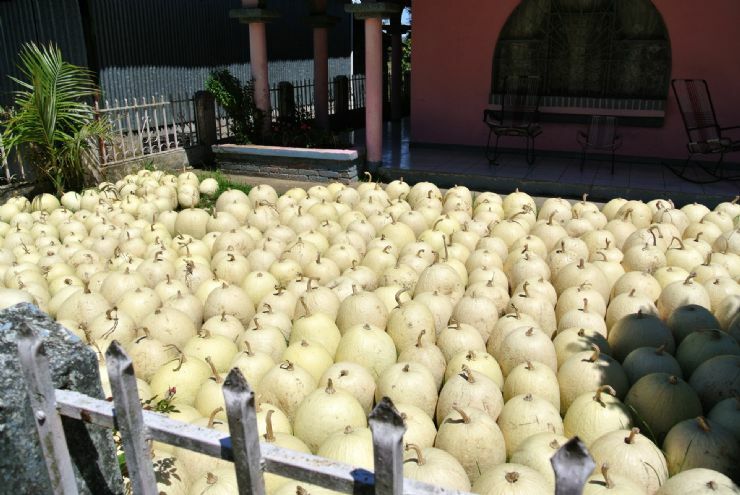 Chiverre is a watermelon-looking squash with a similar texture to pumpkin. This sweet, jelly-like dessert is a staple during Semana Santa. The hard shell is difficult to open, so it is often prepared by charring much of the shell over a flame and using a hammer. I was so surprised once I finally saw the insides of the chiverre, which looks similar to spaghetti squash! The stringy contents are then dried before they can be boiled. The family I was staying with over Semana Santa put the contents in a pillowcase in their clothes dryer! I couldn't believe my big red eyes but it worked! Then, in a big pot, they added sugar, tamarindo seeds, cinnamon, cloves, lemon peel and coconut (but coconut isn't required). In about an hour and a half of cooking over low heat, they had a sweet jelly that they used in empanadas. It can also be used on top of other desserts it's so yummy. 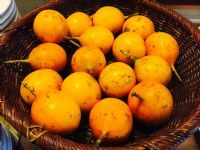 In Guanacaste, many families take advantage of the mango season and gather juicy fruits to make mango marmalade for desserts and other treats. 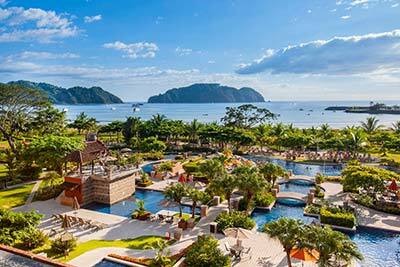 Costa Rica turns into a truly different country during Semana Santa, and I'd recommend a visit during this time to anyone. While you won't be able to travel through the country very easily or have access to bars and restaurants, it's a great way to get to know the rich culture and traditions of my homeland!